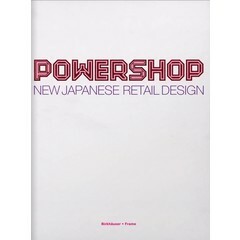 A lavish retail design bible detailing 173 of the latest remarkable shop and showroom interiors from around the world. 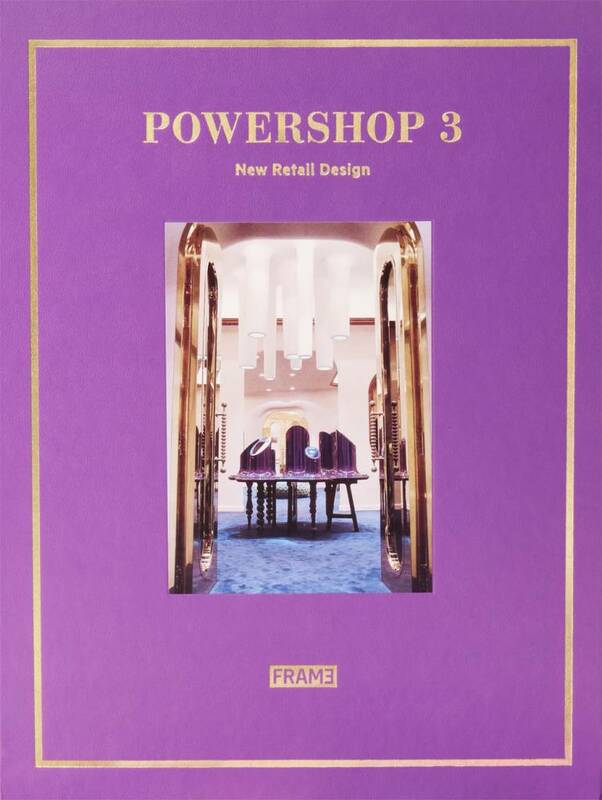 Powershop 3 is an exploration of the best in retail design from around the globe. 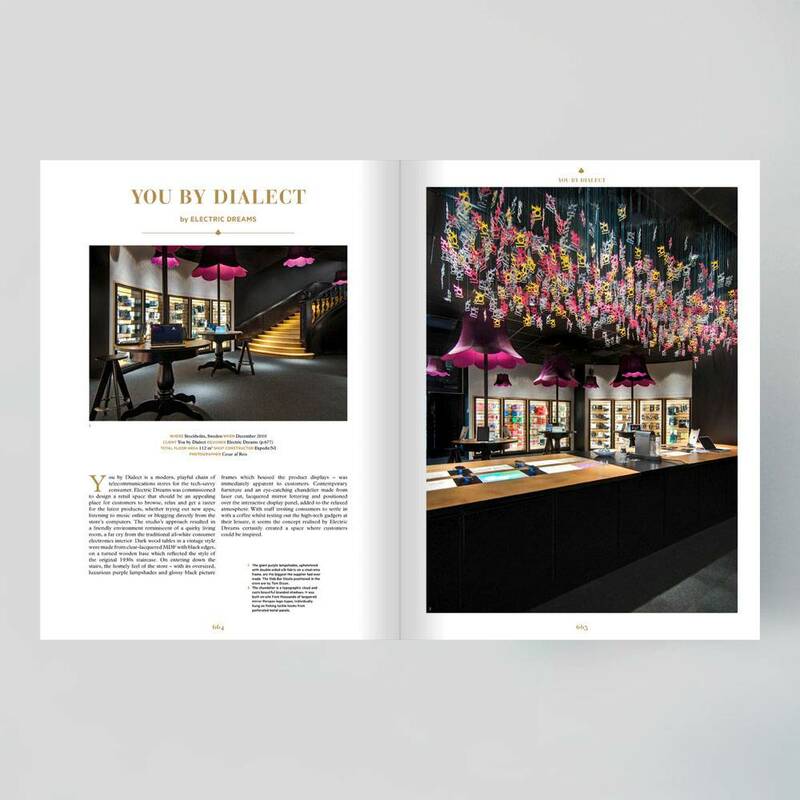 It outlines the key role that designers play to integrate brand identity into retail concepts in order to realise some of the most exciting shopping destinations in the world. Readers will discover how designers encapsulate different styles with a brand coherence whilst often mixing-up the settings to create thrilling, theatrical spaces. 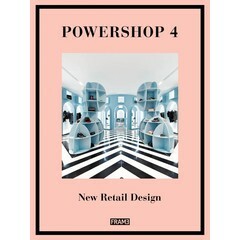 Divided into nine chapters, the book opens the doors of shops and showrooms by over 130 international designers, both new studios and world-famous designers. 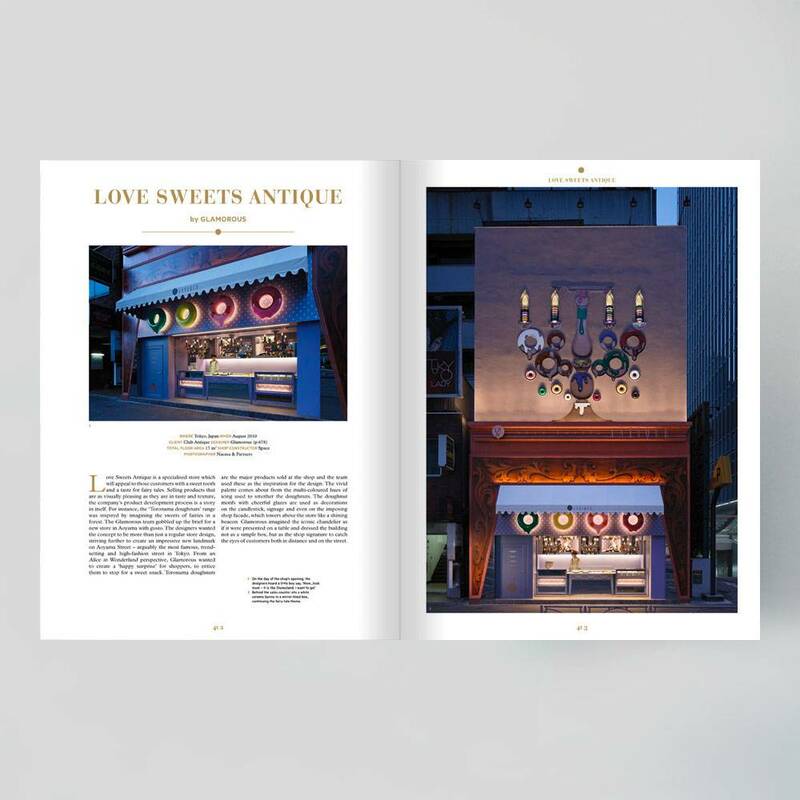 This is a lavish retail design bible detailing the latest interiors which range from luxury fashion boutiques to bakeries, car showrooms to supermarkets and pop-up shops to department stores. 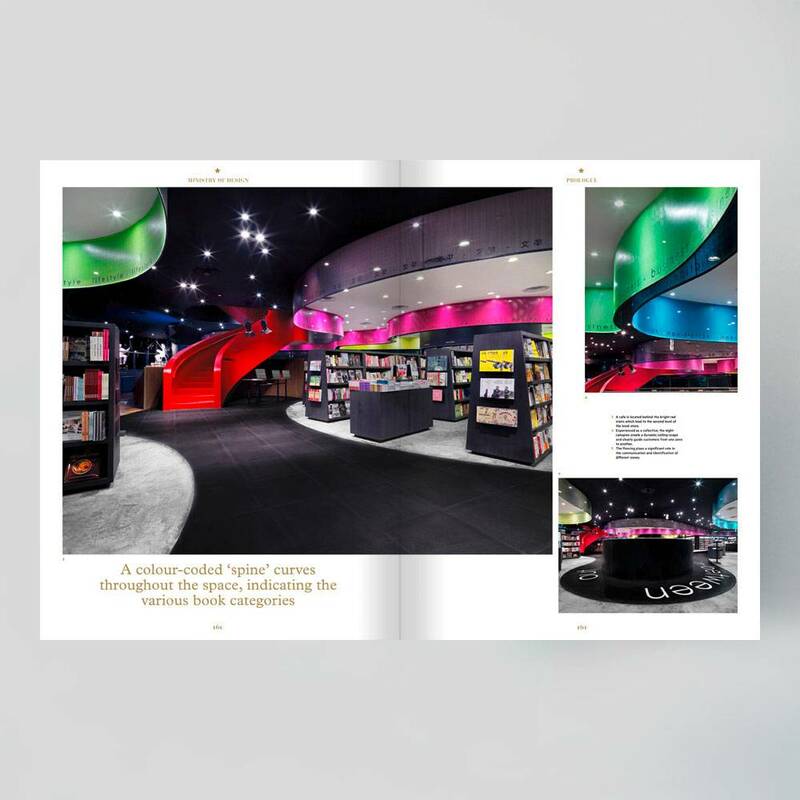 The essence of this book comes from the curated interiors which highlight the current trends in retail design. 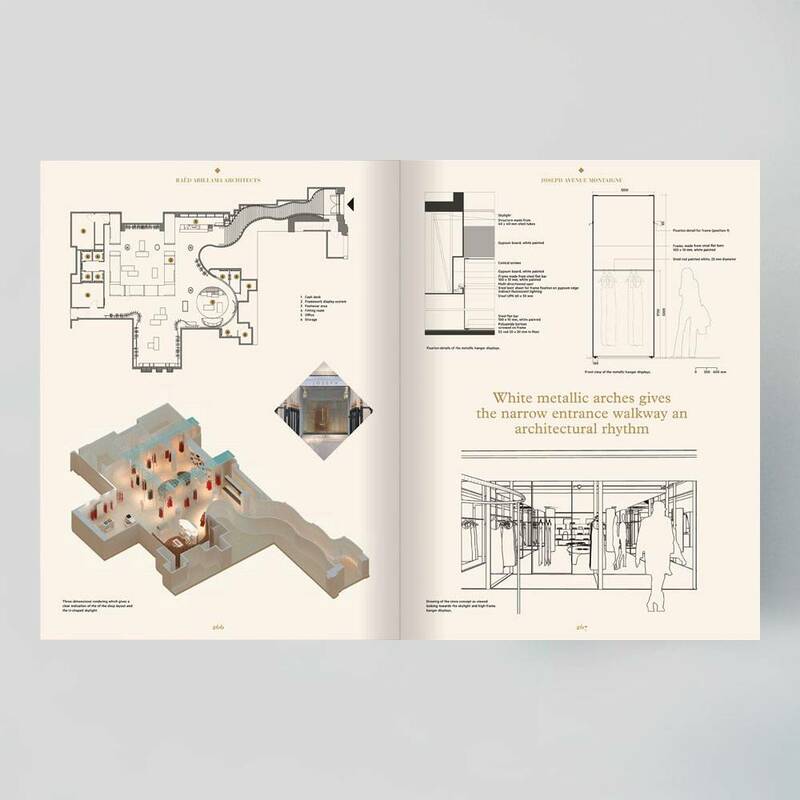 The gold-tinged pages are filled with outstanding photography and descriptive texts about how the design concepts were developed and executed. 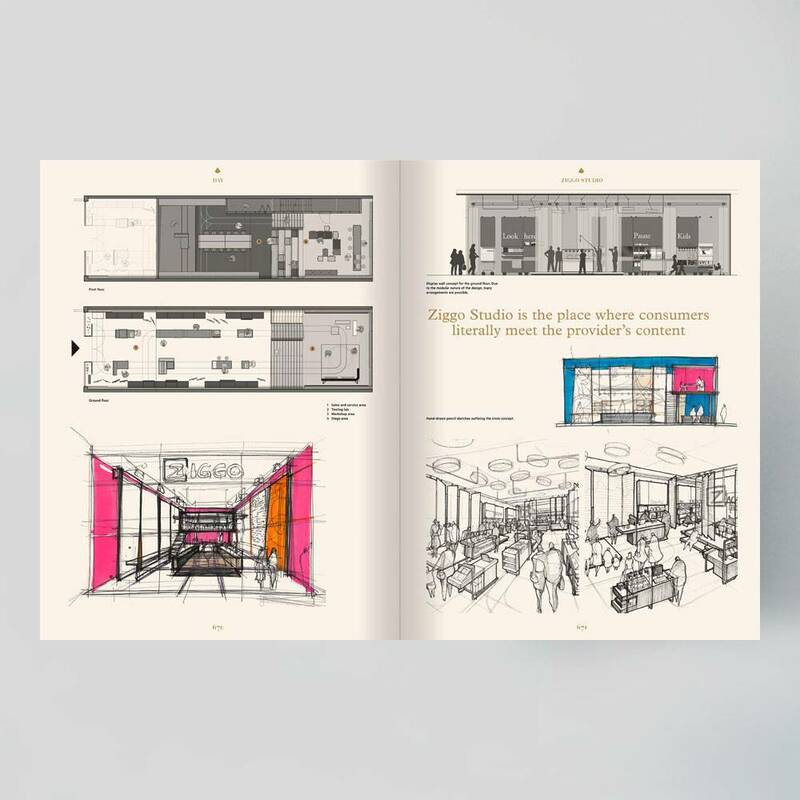 Many shops also feature technical details such as floor plans, sections and sketches to further explain the design process from concept to execution. 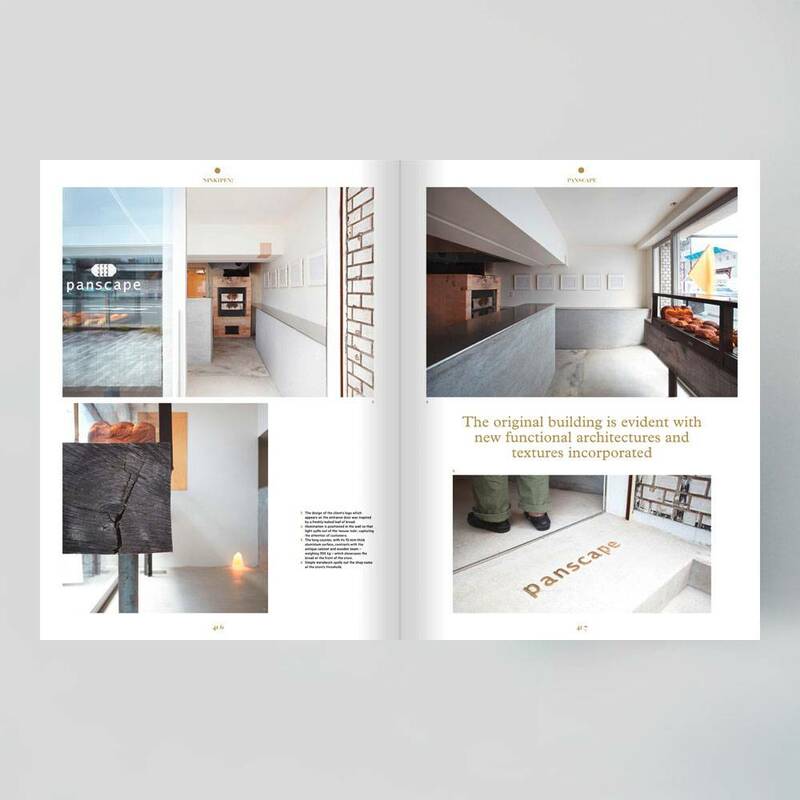 Completing the book is an index of the featured designers, with studio profiles and contact details, along with addresses of all the shops. 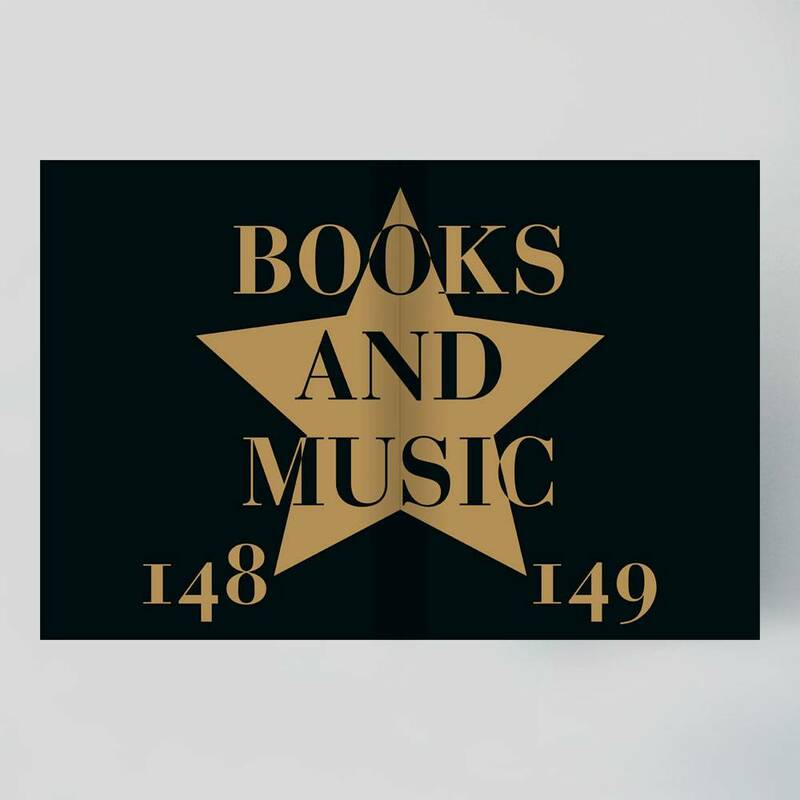 The largest ever single-volume book from Frame Publishers at 696 pages. 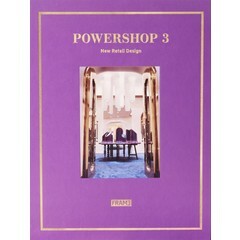 Hardcover with purple faux leather binding and gilt-edge pages. 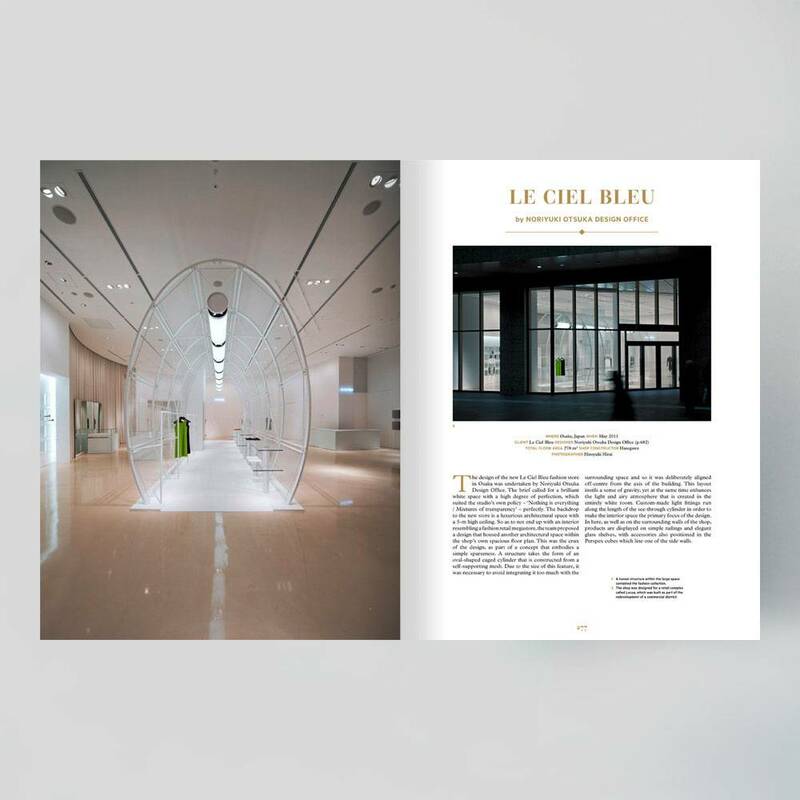 Profiling design projects by Hayon Studio, Ippolito Fleitz Group, Ronan & Erwan Bouroullec and Wonderwall. 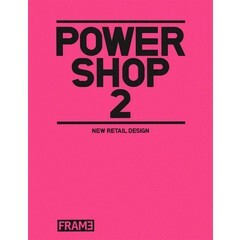 Featuring global brands such as Nike, Mercedes-Benz and Mykita. 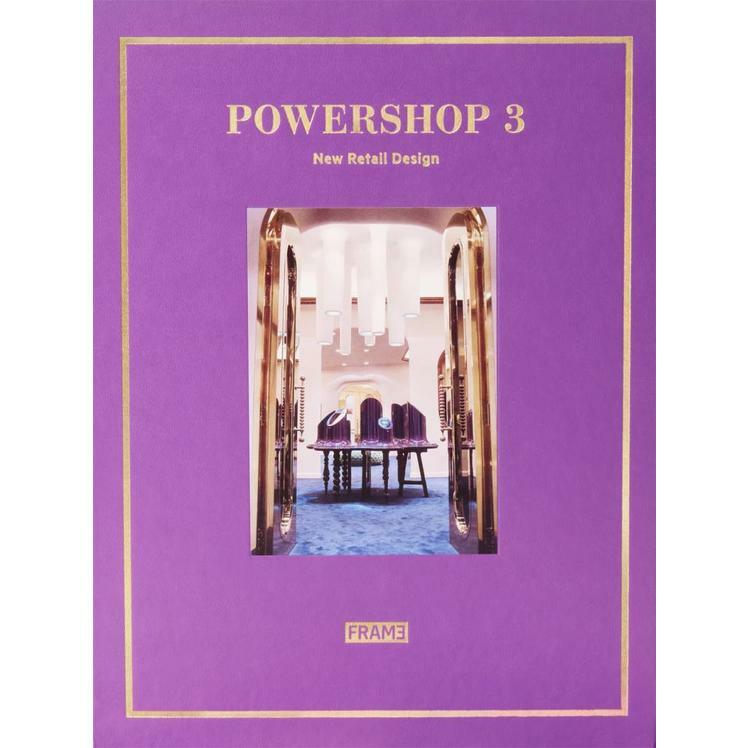 Nine chapters: Accessories, Body & Healthcare, Books & Music, Fashion, Food & Beverage, Furniture & Home Products, Mobility, Shoes and Telecom & Services. Extensive descriptions, project credits, stunning photography and designer profiles. Floor plans, sketches, detail drawings, renderings and construction photos. Index with contact details of the design studios as well as all the featured shops.